His girlfriend told him it was over, his drug dealer is trying to kill him, and he’s being followed by that nasty bird everywhere he goes. Now he’s hell bent on settling the score and teaching every last one of them that he’s not a man to be taken lightly… especially the beady-eyed pigeon that has taken more from him than his pride. 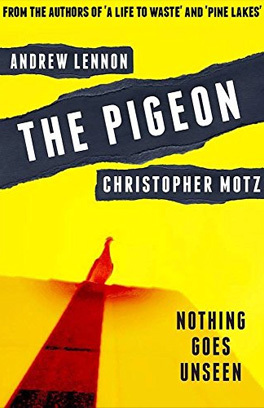 Lennon & Motz bring you an exciting, horrific, fast-paced story, packed with violence, gore, mutilation… and angry birds!